Have you wondered where the Pages who have liked your Page and People who have liked your Page functionality has been hiding? You are not alone. 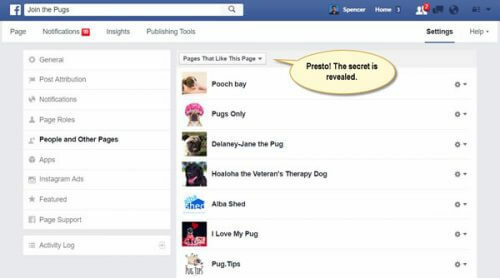 This is another highly useful feature Facebook chose to hide from the public. 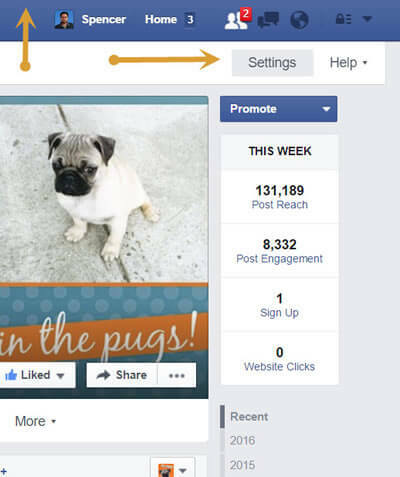 This is highly useful for seeing the related brands or companies following your Page. Be assured, these companies are watching to see what you will and won’t do, how much advertising you will engage in, whether you are driving engagement with your Page, etc. However, you can do the same thing by watching competitor Pages on your list. I have good news. We can reach this hidden treasure of data in three easy steps. Let’s start by going to our Page, and then clicking on Settings located under the Notification and Messaging area in the upper right navigation. Next, let’s click People and Other Pages in the left column list. It’s worth coming back to check out other features that are located in the general Page settings here. Our last step is to click the People who like this Page dialog box. This is where all the people who have liked your Page are, and is also a tool to keep in mind for the future. The secret is revealed. 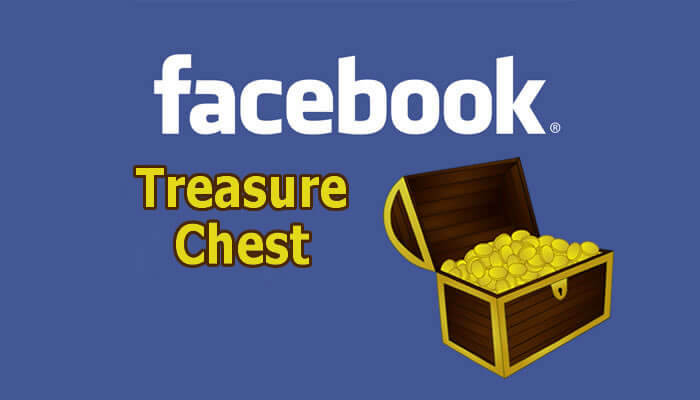 We are now at the Pages that like this Page treasure chest. What’s that you say? This layout is wholly unintuitive. I agree, but please don’t shoot the messenger. 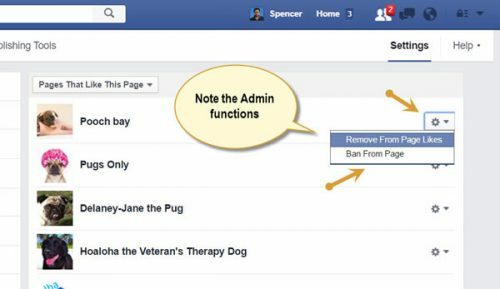 Note that there are additional Admin functions available here by clicking the gears. 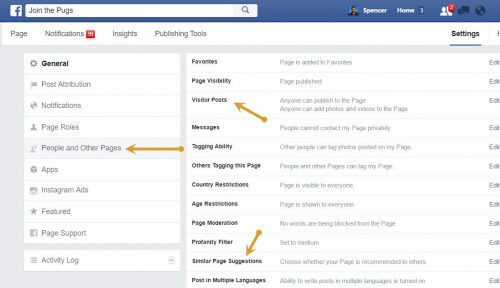 These include where you can Ban a Page from a Page, and Remove a from Page Likes. This is when a Page likes another Page. The functions under People who like this Page are similar relative to Profiles vs. Pages and are also worth checking out.